Not all of Destin's hotels are big resort hotels, like the Sandestin Hilton above. The links to the left of the photo above lead to lodgings in downtown Destin. The Links to the right of the photo lead to other area accomodations, by location. You can still find a few mom and pop motels, although they are getting fewer as time passes, and you can save on lodging by getting a room downtown. 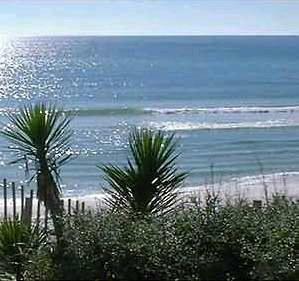 There are several public beaches a short drive from destin, and you are very near the harbor anywhere you stay downtown. Many of the best area restaurants are found near by. Obviously a downtown lodging puts you at the heart of vacation adventures. We have a new statewide hotel directory which also includes destin area hotels and motels. You can access it by clicking the link below. The directory also has points of interest and other useful information. 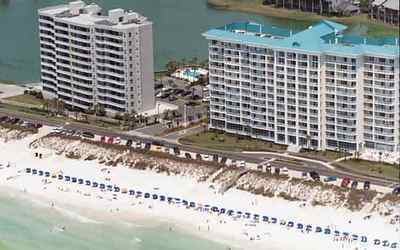 Reserve Destin Hotel or Condo.